The Superlux CMH8A is a fixed-cardioid large diaphragm condenser. The ‘A’ is the most basic of the CMH8 series, with no externally switchable filter or pad features. 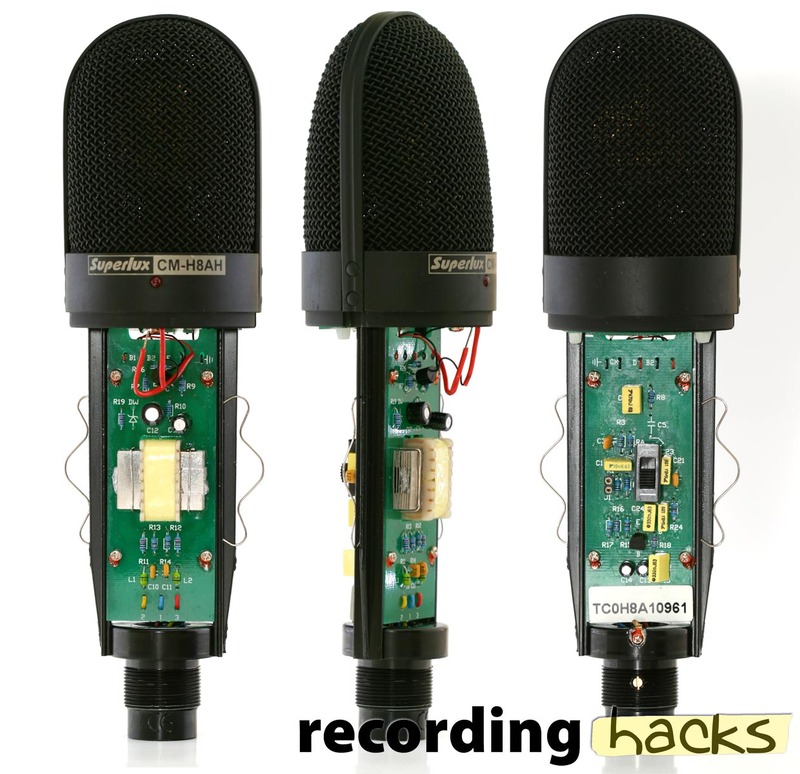 The circuit board has a slide switch to enable a high-pass filter, but because the microphone requires a special tool to remove the body, this switch is unlikely to be of any use in a session. The mic uses a single, one-inch, 3 micron evaporated-gold diaphragm; it is connected to the JFET through a 470pF ceramic coupling capacitor. The JFET (in our sample microphone, at least) is a K105 (2SK105). 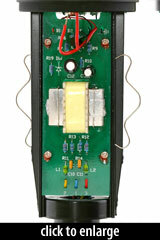 The mic’s output circuit uses a PCB-mounted transformer. Our sweep test of the circuit shows a linear response over most of the audible spectrum, with a rise in subsonic response in the 10Hz–20Hz octave, with a corresponding rise in harmonic distortion. In my tests, the CMH8A turned out to be a nicely neutral vocal mic, similar in sensitivity and overall tonal characteristics to my reference Rode NT1, though with perhaps marginally less ‘weight’ at chest frequencies. The high end is less splashy than some of the transformerless models I’ve tested in the past and, because the presence colorations are quite subtle, the mic should suit a wide range of voice types, making it ideal as a project studio all-rounder. It’s also quite at home recording acoustic instruments and would work adequately well as a drum overhead, especially in a matched pair. A dual-layer mesh protects the capsule. The aluminum body has a “champagne silver” finish. The mic ships with HM8 hardmount and A3 hardcase. We’ve seen photos of the t.bone SC-550 that show an identical circuit board, suggesting that the SC-550 was a rebadged CM-8HA. The Superlux CMH8A is also known as: CM-H8A.